Do you remember that song about making new friends but keeping the old? 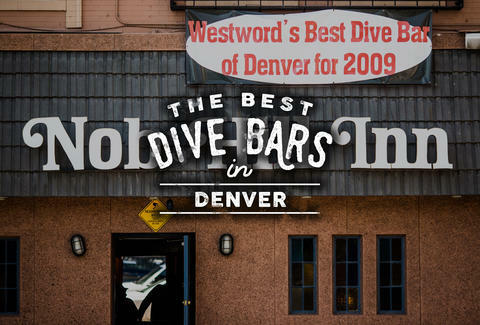 Yeah, we totally don’t either... Anyways, when it comes to going out in Denver, it's easy to get distracted by all the shiny new bars and restaurants opening all over town, but the city's classic dives deserve your attention, too. Like tequila -- or that one song -- one is silver, but the other is gold. And by gold, we mean filled with dirt cheap drinks and bathroom graffiti. 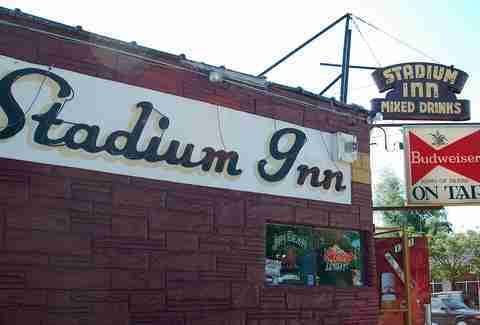 Since this space became known as the Knob Hill Inn in 1954, it's seen Colfax at it's worst. And while Denver's most notorious street is in the midst of a serious makeover these days, Nob Hill Inn's got a timeless quality that still gives you a quintessential Colfax experience that can't be replaced by trendy spots serving small plates and craft cocktails. Here, the drinks are cheap, the jukebox is cheaper, and the only thing on the menu is frozen pizza -- we hope that never changes. If you like it dirty, then this is your new favorite spot. 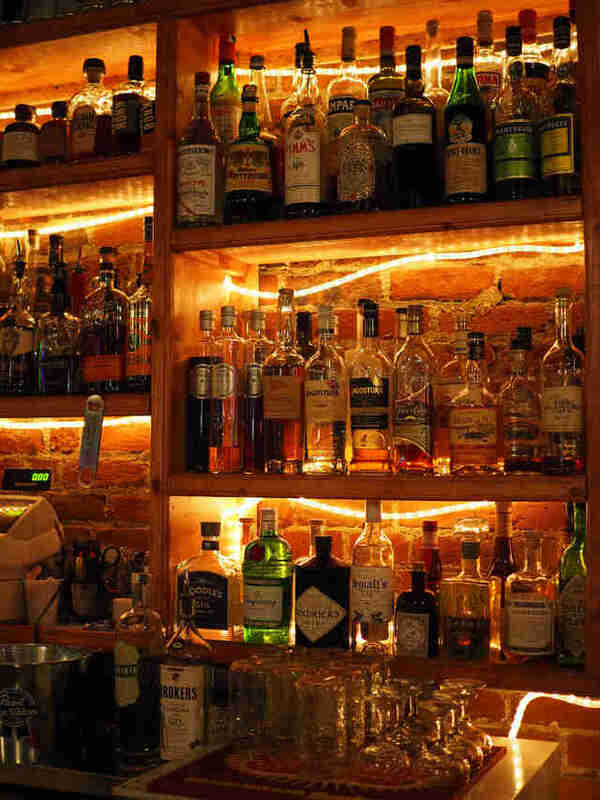 Bar Bar offers that simple but comforting combo of cheap booze, friendly bartenders, and zero pretense. All of which make it the perfect place to escape the typical downtown crowds. Plus, despite the fact that there's no stage in sight, you're likely to catch local musicians playing in the often tightly packed space on most nights. 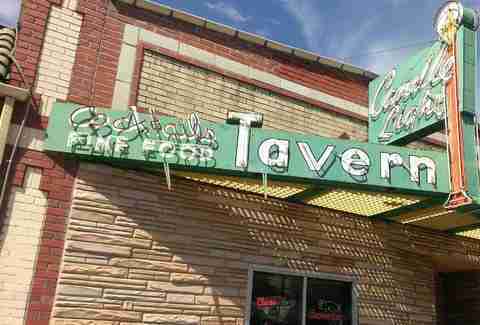 This Broadway go-to known for its all day, everyday drink specials -- including a list of $4 shots -- hasn't quite been around long enough to acquire the amount of old-school dust and grime found at other Denver dives. But with plenty of games to keep you busy while you drink, and some pretty solid bar food, Dive Inn has earned a special place in the city's buzzed heart. Oh yeah, there's also a boat in the middle of the bar. This 30-year-old bar near the DU campus attracts its own special mix of bar-side regulars, college students, and neighborhood strays alike. There's pool tables and big screens for game day, but the biggest draw is the booze specials. Namely, their signature offer: $2 Evan Williams every single day. In the middle of LoDo's bro-heavy scene is a late night institution lauded for live music and strong drinks. It opened the day after prohibition was repealed in 1933 and has seen the likes of Frank Sinatra, Mick Jagger, and even Bill Clinton. Nowadays, there's a small cover ($2) to get in, but it's more than worth the price to experience this legendary venue. And while you should probably skip the Mexican fare served up in the kitchen, do go for their signature shot: tequila + creme de mint (complete with an edible grasshopper). Not only can you get into all the regular divey hijinks here (we’re talking shuffleboard, giant Jenga, darts, etc. ), you can also grab some decent eats for very affordable prices. Their kitchen serves up deals like a jalapeño cream cheese burger for $4.50 at lunchtime, so go ahead and order another beer to wash that down. "It's got a great view" isn't something you typically hear about a dive. But that's exactly what you'll get at this neighborhood hangout across the street from Sloan's Lake. 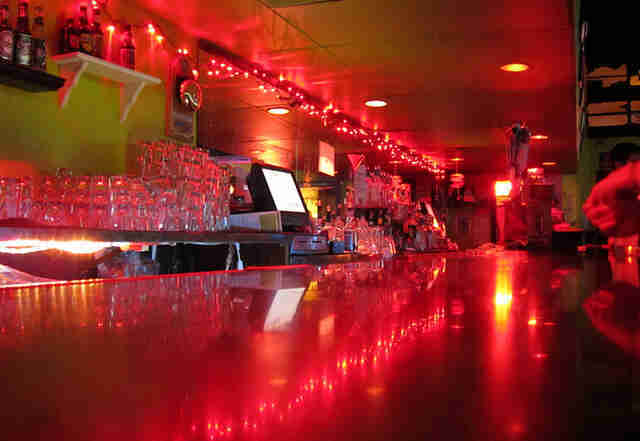 Scenery aside, you’ll still enter a dimly lit, appropriately dirty establishment -- as it should be. Start off with a brown paper bag of "mystery shots" and who knows where or how your night will end. This South Broadway staple is famous for being an intimate music venue that offers its patrons an experience similar to having your favorite band playing right in your house (except they can't trash it after). So if there’s one place to check out up and coming musicians, it’s here. If, however, you need another reason to go, Sputnik is cookin' up food right next door. What other bar do you know of that 1) used to be a hangout of Jack Kerouac, 2) sells Girl Scout cookies, and 3) has a certificate from the Smithsonian claiming their cheeseburger to be the best in the world? Wait. A bunch, you say? YOU LIE! Get the JCB burger and a selection from their choice beer menu at this Denver establishment, then kick it in their beer garden out back. 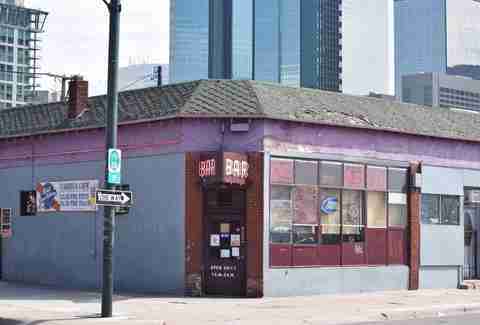 A dive bar diamond in the rough among all the large party warehouses in LoDo. In addition to their wide array of Colorado craft beers and tasty cocktails, they offer karaoke on Tuesday and Thursday nights, Skeeball, and an outdoor bar/lounge area equipped with adult slushies. The bartenders are also wayyy more knowledgeable than your average dive bar drink slingers. 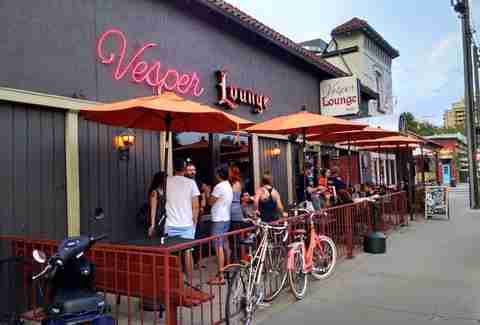 Occupying the space of an old neighborhood dive called "Lancer Lounge," Vesper maintains the casual comfort you’ve come to expect from a dive, but with a bit less grime and a lot more quality -- especially when it comes to their Middle Eastern-inspired eats. Get the true cheap bar experience at happy hour with deals on food and drinks like the "Blood Hound," an Imperial or Utica and shot of Jim Beam for $5. 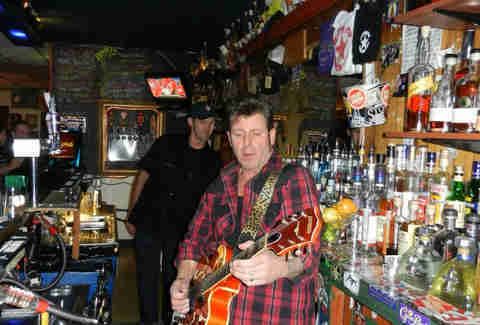 This local musician-owned favorite has everything a good dive should offer: strong (cheap) drinks, live bands that play the best in dirty, groovy funk music, a bowl of cheese puffs waiting for you on the bar, and PBR, duh. This hidden gem is, in fact, hidden. 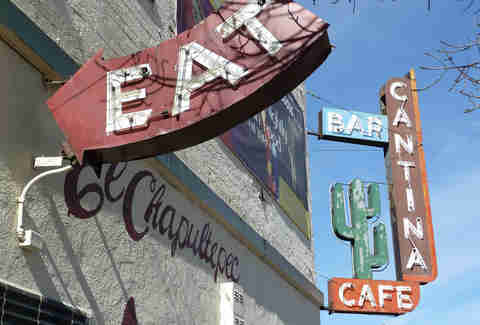 Hanging out just off of the corner of Colfax and Marion, Tooey's wholeheartedly believes in the "less is more" mantra. The highlight of the place is the back bar, with shelves full of bottles that most dive bars can't pronounce, and knowledgeable barkeeps to go with it. There's a killer late-night happy hour, pool, and a jukebox that’ll keep you entertained until the lights (unfortunately) come up. Molly Martin is a freelance writer in Denver, Colorado who appreciates a cheap drink. Follow her boozy adventures @mollydbu on Twitter and Instagram.